GATE's SubseaConstruction group provides subsea expertise in the areas of installation hook-up and commissioning (IHUC), subsea controls, ROV operation management, and subsea integrity management. The GATE Subsea Engineering Group (SEG) is comprised of engineers with strong field experience in the offshore industry. The SEG team has been involved in all project stages at the Sub-contractor, Contractor or Company role from pre-FEED to execution, startup and life of field support. The objective of the SEG is to provide practical solutions to the client at any stage of a project; taking special care to account for industry standards, lessons learned, special requirements from the client, long term effects of these solutions and identification of operational constraints during the various phases of the project. What makes SEG different? The use of a systems based approach, multi-disciplinary personnel and support from the GATE core disciplines which includes Materials & Corrosion, Flow Assurance and Chemical Injection Systems functions. Overseeing project execution includes developing, managing and scheduling all project interfaces from design to installation and commissioning. The team can be involved in all equipment design technical interfaces, fabrication/construction and commissioning/startup onsite. We ensure that equipment design aligns with company standards and that the interfaces between equipment is adequate to preform testing. Safety is our highest priority. Other services include interventions, remediation, ROVs and ROV Tooling, Intervention Equipment Consulting and Vessel Operations. Full engineering support for installation activities including installation procedures. Providing input during detailed design, as it pertains to the specification and manufacturing of equipment, in order to reduce construction complexity, cost and time. Managing interfaces with other disciplines, from agreement on scope of supply, to ensuring the timely delivery of input data and “free-issue” components required throughout the design, construction and testing of the equipment. Controlling field-based construction activities, including safety, logistics, material handling requirements, contractors, etc.Supervising and coordinating equipment testing, including FATs, EFATs and SITs. Coordinating equipment transportation, load-out and sea-fastening onto installation vessels. Provide drafting support including fabrication drawings. SEG provides input to functional specifications and manages the design, quality assurance, installation, commissioning, maintenance, retrieval, and/or repair of subsea production control systems. 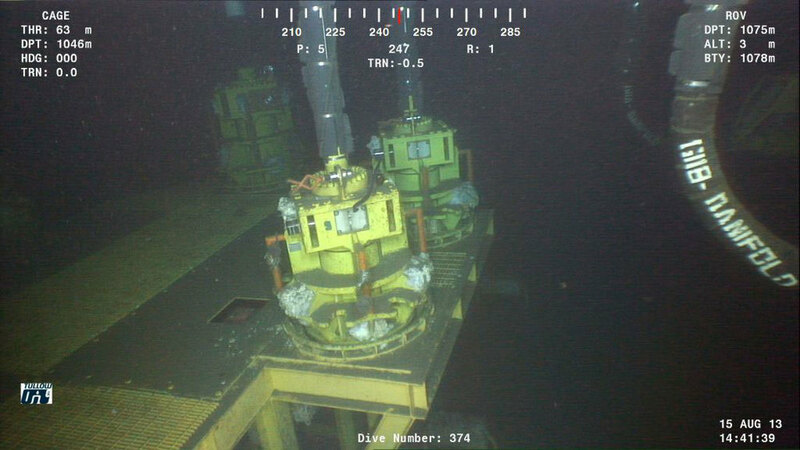 In addition, SEG can manage and assess subsea controls service personnel or outside specialist company activities. All activities are carried out in accordance with company and site safety standards, regulations, procedures and contractual agreements. Subsea Control Modules (SCM) interface with trees, external sensors, multiphase flow meters (MPFM), venturi flow meters, new well tie-ins, and umbilical design.